I have had the three books in this series to review for awhile. In the mean time Michael Phillip Cash put all three books into one. So, as added incentive to get in gear and review all of them, here are my reviews for the individual stories and the links to the compilation book. On the planet Darracia, an ever-widening social gap between its inhabitants is causing turmoil that is fracturing a once peaceful world. Struggling with his identity, nineteen year old Prince V’sair must harness the power of the elusive Fireblade, the secret to a warrior’s heart, in order to overcome his uncle Staf Nuen’s lust for supremacy. Will the energy of the Elements guide the young prince to his true destiny or will Staf Nuen conquer Darracia? 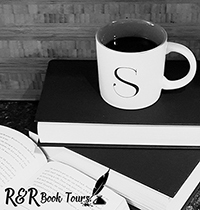 After the success of his first three books (Brood X, Stillwell, and The Hanging Tree) Michael is fulfilling a dream and creating his own epic fantasy world. Schism: The Battle for Darracia is the first book in a planned series. The planet Darracia has two classes of people with tension getting higher between the two groups and potential fighting just around the corner. The king, a Darracian, has married below his class to a Planta. Prince V’sair is a mixed breed and is always looked down on because of his size and skin color. But he wants to prove that he is a warrior and wants to go on the quest for a Fireblade, one that only works for a person with a warrior’s heart. At the same time Staf Nuen, the kings brother, has decided he has had enough of this social disgrace and that he is going to take over the throne. It is up to V’sair to find the Fireblade, learn how to use it, defeat his uncle, and join the classes of his home. This is a great story. You have the clear social class issue and how the brother is planning on over throwing the throne. I felt for V’sai, born a half-blood and constantly looked down on because of it. I loved how his mother understood why he wanted the Fireblade and encouraged him. The only thing that I can think of that would be a negative would be that the book was very rushed. There was a lot of area to cover and I think a longer book would have had a better flow. Beyond that, this is a great book that you don’t want to miss. Now I can’t wait to read book 2. 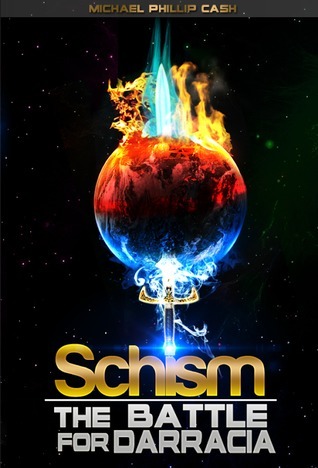 To purchase Schism individually make sure to check out Amazon, Barnes and Noble and Goodreads. It has been one years since we last saw King V’sair. He is struggling to be king with no family. He is trying to unite his people but that is challenging since both groups have completely different views on what is important in life. Zayden is trying to get used to his losses but is across the universe looking to avenge the death of Hilde. Then there is Staf Nuen. He is not going to let losing the status of king go so easily. This is a great follow up to Schism. Action, love story, loss, and the fight to try and bring two people with different views together. There is a lot happening. I fell for both V’sair and Zayden. V’sair clearly loves Tulani but she has to learn more about her own people before she can be with V’sair. And Zayden, he has lost so much that he walks away from the kingdom with plans of revenge. And the ending, what the heck?!? I strongly recommend you read the books in order otherwise you will be lost. But if you love action, adventure, and a great fantasy world you need to check out this series. This will be one you will add to you shelves. 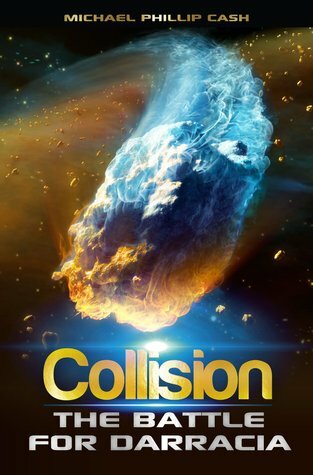 To purchase Collision make sure to check out Amazon, Barnes and Noble and Goodreads. We last saw our heroes scattered, seriously injured and lost. Lothen is now in control of the planet, the people have either been murdered or turned into slaves. Everything looks lost, broken, and people have given up on everything. V’sair is going to have to learn the true meaning of being a leader to save his people. Zayden, he may be injured and drowning in his defeat, but can he find his true self and save those he cares about? This is a dark story and a perfect end to this series. All hope is gone, there are no more fighters for the people. The people are dead, broken, slaves, and have no hope. They don’t even have enough to want to join together to fight for. But when everything is gone, that is when you either let it defeat you or you pick yourself up and find a way to keep fighting. I love how Zayden, at his lowest learns that his disability is not the end of the world. And V’sair, although lost under the sea grows to be a great leader. This is a great story and an amazing series. If you are looking for a great series look no further. This series has everything in it from love to loss and good to evil. Make sure to get your copy today. 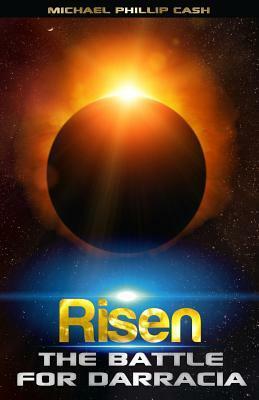 To purchase Risen make sure to visit Amazon, Barnes and Noble and Goodreads. To purchase The Battle for Darracia make sure to visit Amazon, Barnes and Noble, Goodreads and Michael Phillip Cash’s website. 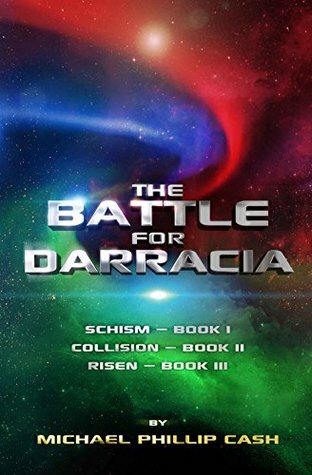 I received all three books (Schism, Collide, and Risen individually and as the Battle for Darracia Collection) for free from the author in exchange for an honest review.